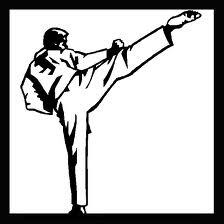 In many ways, martial arts can be an appropriate metaphor for running a business. For example, there are probably hundreds of thousands of entry-level martial arts studios available for beginning students. It doesn’t really matter what martial art you decide to study, only that you get started and learn whether the art is right for you. However, as you grow in ability and dedication, you find that your needs sharpen and you need a higher level of expertise to guide you along the right path. You need a master.